She’s 85 metres long, but with her trailing gear that provides the conveyer belt system, she expands to two kilometres. Her head is 10 metres wide and she weighs 109 tonnes. She came to us in bits and pieces and…she likes to eat dirt. She’s “Alice”, the Evergreen Line Tunnel Boring Machine and she is working on the two kilometer tunnel between Port Moody and Coquitlam as part of the Evergreen Line Rapid Transit Project. 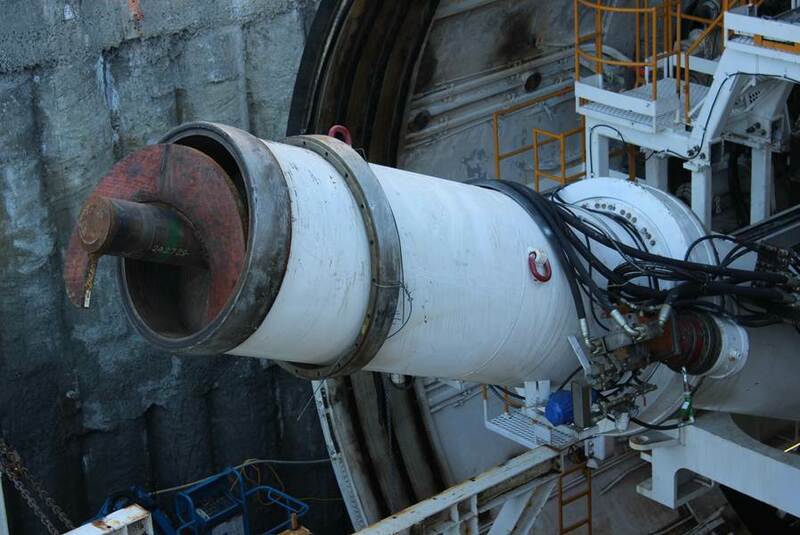 Truth be told, there is nothing boring about the tunnel boring machine at all. In fact, it’s an impressive technological advancement that has been used in other large infrastructure projects in the province. Bored tunnel construction means there is no disruption to residents, businesses and the traffic on the surface above. The tunnel will have a depth of up to 50 metres; that’s approximately one 18-story apartment building, with depths ranging between 17 and 50 metres. The excavated materials from the tunnel will be removed by a conveyer belt to the north tunnel work area, where trucks will be used to haul the tunnel spoils to a designated site in Port Coquitlam. Unlike the Canada Line’s bored tunnel where two separate tunnels were bored side by side, the Evergreen Line tunnel boring machine will make one pass, creating a large tunnel that will then be divided into inbound and outbound tunnels. The tunnel was launched in early March near Barnet Highway and View Street in Port Moody and Alice is expected to progress at an average rate of eight metres a day, taking just under a year to reach the south tunnel portal, located just south of Kemsley Avenue on the west side of Clarke Road in Burquitlam. Here’s a quick video of her getting ready to take a bite. 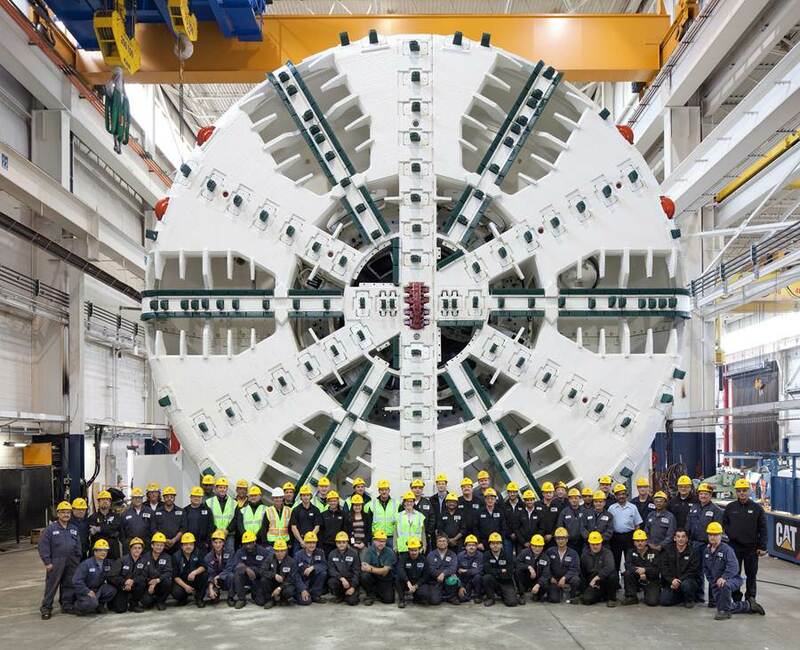 Traditionally, tunnel boring machines are christened and given a name. We think “Alice” is a pretty good one. She is named after the great Canadian Alice Wilson born in 1881 in Cobourg, Ontario. Alice was passionate about geology, and overcame gender barriers to become to the first woman to hold a professional position at the Geological Survey of Canada in 1911. To learn more about the Evergreen Line Project, visit the website www.evergreenline.gov.bc.ca or like our Facebook page for project updates, photos and fun facts. *The completion date for the Evergreen Line has changed. Learn more here. I used to think that deep rock “spoils” could turn toxic when exposed to the air. How do you test the bored material for safety before it is stockpiled? In this case, the spoils are mostly compressed sand and clay with occasionally some small rocks. The soils that Evergreen Line tunnel boring machine are dealing with were deposited by the action of glaciers and are not reactive to air like potential acid rock that is found in other areas. The material is tested and has been approved for disposal. A question which I’m sure has crossed the minds of people who live above, or around “ALICE”—what is the speculation on the stability-[now and future]–of the land in the neighborhoods, through which ALICE will be travelling, as she does her “boring”job? Thanks for the question. In regards to “Alice”, boring the Evergreen Line tunnel will not impact the stability of the neighbourhoods that it travels underneath. As the tunnel boring machine moves along the alignment it installs reinforced concrete rings to insure the stability of the tunnel walls. The only disruption to the surface is at the two tunnel portals. Thanks for the info. Good luck !